Magic, real magic, carries a price that must be paid, and requires a coldness of spirit that can't be faked. Amateurs cannot fathom the horrors they unleash by assuming that magic fixes things, makes things better, creates rather than destroys. Jen Michalski knows this. She writes her fable of eternal youth and perpetual healing as the painful, costly thing it is. 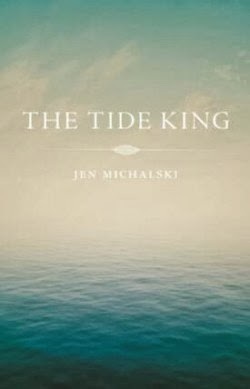 Michalski offers this modern take on The Picture of Dorian Gray as a parable of kind intentions gone metastatic. Stanley Polensky means well when he curses the dying Calvin Johnson with eternal youth. Calvin Johnson means well when he offers his "gift" to the one woman he's ever loved, as she is old and dying. Heidi Polensky, daughter of a mother who wanted nothing to do with her and a father who didn't sire her, means well when she curses herself with eternal youth to keep her one true love, Calvin, company. And none of these good intentions have the slightest effect on the painful reality: Control is an illusion, and control of death is fraught with so much unknowable baggage as to be a terrifying power much to be avoided. 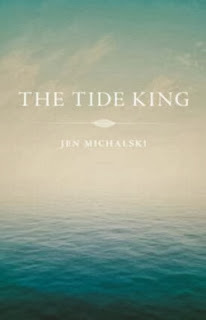 Michalski, much published and well versed in the narrative arts, gives us a chilling ride through the blasted emotional landscape of life's losers. Stanley and Heidi are the people one sees walking to the bus stop, hunched and defeated, going...well, I've never known where they're going, can such sad faces actually have jobs, or families, or lives? Surely they're actors, characters...but here they're alive, and yes they're as sad and defeated as their faces. But they're also human beings longing for more, and tragically, they get it. Like all mortal characters from immortal myths, the Polenskys haven't learned what to hope for, wish for, or how to use a gift (sparingly and after much thought! ), because no one anywhere ever has believed they could have a gift at all. But Calvin, the recipient twice over of the Polensky's gifts, is possibly more to be pitied than even they are. A golden boy, who will eternally be a boy, grows into an angry and desperate man, choosing dangerous and difficult things to do with his unearned life, and "succeeding" at every turn. Had the novel focused on these three characters, and spent its time exploring their realities, I'd give it my highest recommendation in spite of copyediting problems ("$230 dollars" is one tooth-gritting example). But the introduction of a magical elder, Ela, and her Holocaustic childhood plus the portentous attempt to draw the herbal curse from a misty past, falls very flat for this reader. The ending, a journey undertaken to fix that which the characters' "gifts" have broken, is a hollow clanging hatch being shut on a well of wonderful ideas. Reviewer bio: Richard Derus is a biblioholic and a passionate reader. From underneath his tottering towers of unread tomes, he writes obsessively about his darlings at Shelf Inflicted (a group blog), Goodreads(where he is a Forbes 25 top reviewer), LibraryThing (where his personal library is comprehensively cataloged), and Expendable Mudge Muses Aloud, where many otherwise unknown books are praised, panned, or poked fun at.